H.R. 1207 Provides less Secrecy and more Transparency within the Federal Reserve! In this country of ours most of us despise secrecy within our government institutions. This is not a partisan issue. In fact, there is proof out there today that secrecy of government will not be tolerated by the people along with a couple of our representatives in Congress. It can plainly be seen through the recent bill that was introduced by Ron Paul, called the Federal Reserve Transparency Act H.R. 1207. Currently, it has picked up some speed since it was first introduced with more cosponsors arising as more time goes by. As of April, there are currently 71 cosponsors in favor of this bill. There is a grand grassroots effort going on as of right now through emails, letters, videos, and faxes that are being sent and created by supporters of the bill. Well, lately with this whole economic crisis and the emergence of horrid bailout bills that amount to thousands of pages of unreadable legislation without one page being read by Congress, the Federal Reserve has gone paper printing crazy and pretty much does what it wants, when it wants to. Remember how so many of us were distracted by the fact that AIG was giving out bonuses to its executives? Well, while the Congress was rambling about what to do about this, the Federal Reserve went ahead and printed about another $1.15 trillion dollars. Being that they are a private entity, they were able to do this without the consent of the Congress. In order to verify whether the Federal Reserve should even be in existence all we need to do is turn to the Constitution for this matter. Article 1 Section 8 clearly states that one of the powers of Congress is, “To coin Money, regulate the Value thereof, and of foreign Coin, and fix the Standard of Weights and Measures.” Clearly, nowhere in this statement does it say or suggest that Congress may rescind its financial power and give it away to a private bank. What are the consequences of having a private central bank? Well, looking back at history shows that the Federal Reserve has hurt more than helped. For one, the dollar is not as strong as it used to be since the passage of the Federal Reserve into existence back in 1913. Instead we have a majorly devalued dollar that will only continue to do so as the Fed continues to print more and more money. A great example can be attributed to Cato Institute’s own Richard W. Rahn who states in his article that appeared on the Washington Times how, “The CPI(Consumer Price Index) has grown by more than 2000 percent since 1913, meaning the typical item that cost $20 back then would now cost more than $400.” How long can our federal government allow for the reserve to continue this drastic inflationary policy? It clearly can’t keep any stable price levels, and without any way to go into their records there is no way to see whether a private central bank is a viable institution. These are obvious reasons as to why an audit of the Fed is extremely important. So, it begs the question, what would HR 1207 effectively do? Obviously by auditing the Federal Reserve it effectively opens up their record books, and would be a victory for the people since such a powerful institution with its firm grip on the money supply would essentially become more transparent. It could also serve as a precursor to possibly facilitating more support for the abolishment of the reserve entirely if we discover that this institution is in fact more detrimental than beneficial. 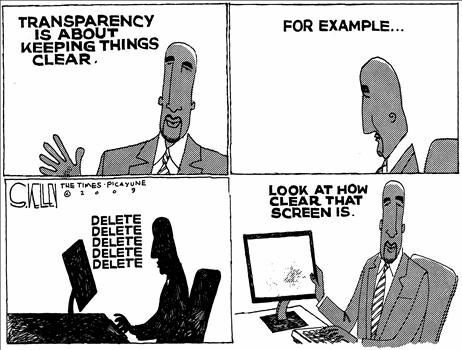 For now, more transparency is what we need. With a current administration that had one of its major platforms being a call for less secrecy in government, it comes to no surprise that some of the citizens of this nation are energized to get H.R. 1207 passed.